Posted by loisferrari on August 11, 2012 in Let's save Classical Music! So, you may be asking yourself, “why is Lois Ferrari blogging about music? Why now? 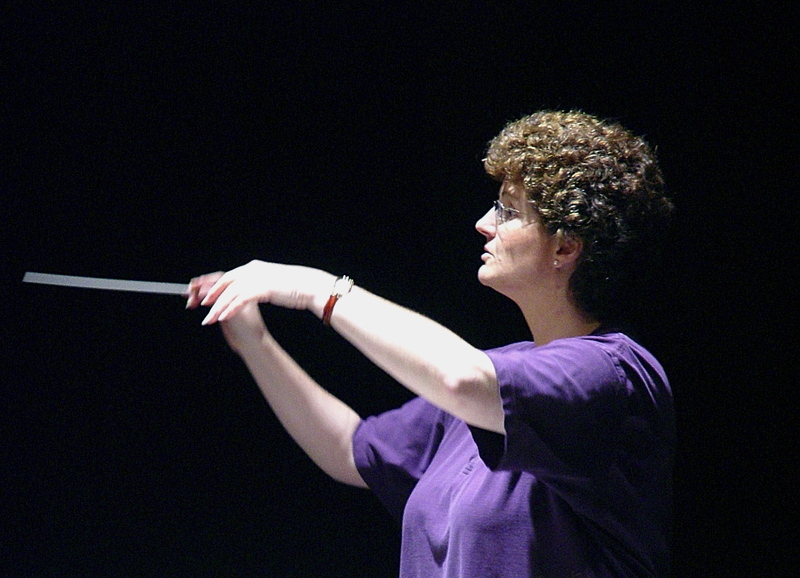 And why is she conducting in a tee shirt?” Briefly? Because classical music needs a makeover. A blog is a great place to just let ideas flow and discussions evolve. No need for prohibitive academic protocols – let’s just brainstorm! We’re at a critical phase. Professional orchestras are folding left and right, even the big ones. In this high-tech, fast-paced, socially connected world, most people are just not interested in what they perceive to be (rightly or wrongly) a stuffy, elitist genre. But is it the music they shun? I don’t think so. People still love great music and the classics are everywhere in popular society: movie soundtracks, malls, commercials, video games, etc. These may not be the best conduits through which one can ideally appreciate Mozart or Copland but they do serve a purpose in that they get this music out there. It seems that when classical music is brought to the public and presented as current music, relevant music, music that speaks to people – this is when it is most appreciated by the younger members of our society. And like it or not, THEY are the ones charged with keeping this music alive. Alienate them and 600 years of wonderful, important music is gone in a generation. When classical music was written, it WAS current, it WAS the music of its time. Indeed, it is STILL being written. The big difference is that audiences today are not being challenged enough to listen to what is being written NOW. We forget that Beethoven’s 5th was panned as a cacophonous failure or that people actually threw things at the orchestra during the premiere of The Rite of Spring. Instead, we (music directors) continue to program what is familiar and pleasant so as to fill seats with fannies and pay for our own need to create. Of course, these days the local Duke or Emperor is not supporting professional musicians so we are dependent upon these audiences for survival. Catch-22. So, what to do? I think the best way to approach this issue – and this will surprise no one – is through food. Perhaps we can program in such a way that all bases get covered. Here’s where I stop and let you discuss this amongst yourselves. I have a good idea about what I want to do with the ACO starting this season, but I want to hear what YOU think! This is my first attempt at hosting one, so please bear with me. Updates and discussion topics will appear shortly.